You are going to Watch Fairy Tail Episode 119 English subbed online free episodes with HQ / high quality. Stream Anime Fairy Tail Episode 119 Online English sub The Deepest Realm.Despite using Laxus’s lightning power to its fullest, Natsu’s attacks continue to have no effect on Hades. Rather, Hades awakens the true depths of his magic power before the powerless Fairy Tail wizards, immobilizing them with fear. 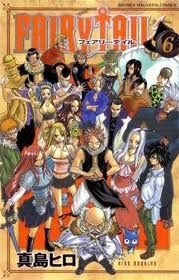 However, Natsu bolsters his friends with the same words of courage Gildarts had given them, and leads them in one final assault against Hades. Meanwhile, Happy, Carla, and Pantherlily stumble across a strange machine and try to destroy it.